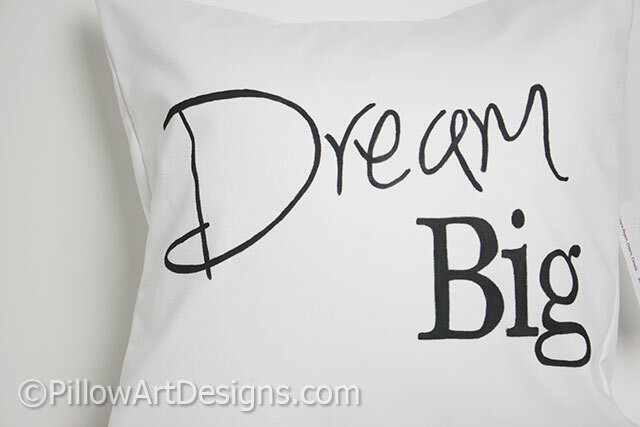 Dream Big pillow cover with words hand painted on front. 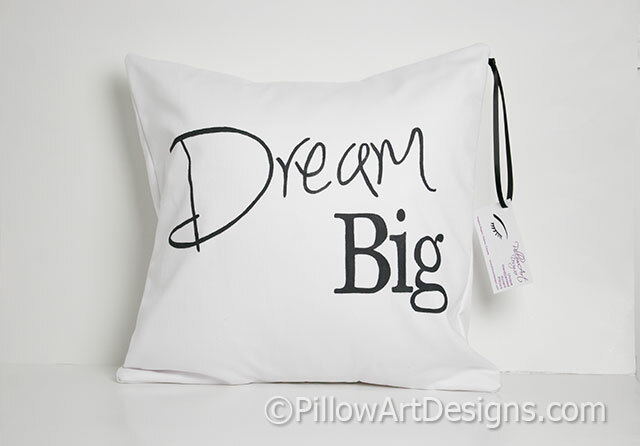 Made to fit a 16 inch X 16 inch pillow insert (not included). 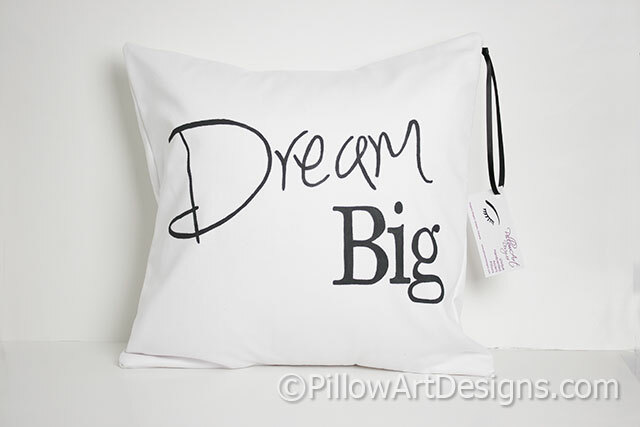 Made to order, please contact me here with your choice of colour for the words. Fully lined with white cotton polyester. Seams double stitched and overcast. Handmade in Canada, by me.